Jessica moved to Utah Valley in 2009 from California where she lived most of her life. 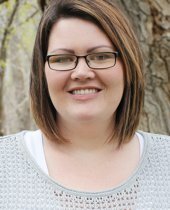 Her family bought a house in Spanish Fork while her husband finished school. She fell in love with Spanish Fork and never plans to leave. After having her last baby in 2012 she decided to end her long standing internal debate about getting her real estate license and jump in with both feet. Her background in home staging and her commitment to providing an excellent client experience is what sets her apart as both a Realtor and a Team Leader. "We worked with Jessica Apsley. She is a born-negotiator. She will confidently go to bat for you time and time again and she emerges victorious nine times out of ten. She is easy to get a hold of and constantly cognizant of deadlines. One of my favorite things about Jessica was that I never had to worry that something would slip through the cracks because she is ALL over it ALL the time. She got us an offer on our house within 24 hours and helped us navigate several problems that cropped up with the purchase of our new home. I honestly don't think we would be in our current home without her. Jessica makes real estate an art form."